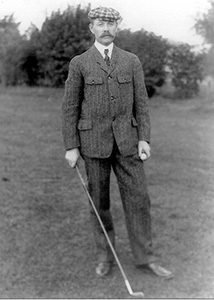 Donald Ross was born in 1872 and served an apprenticeship with Old Tom Morris before coming to America where he quickly became the head professional at Pinehurst in North Carolina. He then went on to design and construct some of the game’s most famous and iconic golf courses – courses like Pinehurst No. 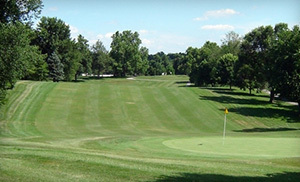 2, site of the 2014 US Open, as well as Congressional, Aronimink, Oak Hill, Inverness, and Oakland Hills, each of which has hosted the most prestigious amateur and professional golf events, including several of golf’s majors. 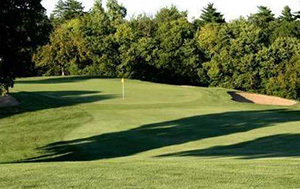 He also designed a golfing gem right here in Kansas City that remained private for much of its 99 year history, but is now open for daily play with what can only be described as an “all-inclusive” experience. 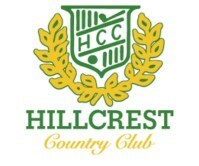 Hillcrest Golf and Country Club opened in 1916 amid rolling hills and natural woodlands. Today, it still holds its charm as a non-residential golf course devoid of house-lined fairways and subdivision streets. Instead, all you will find is an historic golf course amid those same hills, mature trees, and ever-present wildlife. It features zoysia fairways and bent grass greens, all meticulously cared for by Hillcrest’s staff who regard themselves as stewards of golf’s history. Of course, any golf facility needs upkeep and occasional renovation, especially one getting very near the century mark. He added that in addition, each of the course’s bunkers have also been repaired and refilled with new sand to improve their appearance and consistency. Perhaps the most striking feature at Hillcrest is the spacious and stately clubhouse. 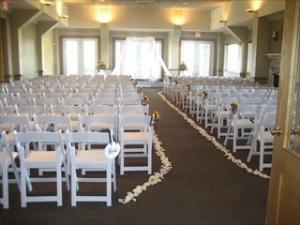 It features multiple meeting rooms and banquet facilities that can host any size gathering. A comfortable lounge area with golf course views and an adjoining patio have been fully renovated and refitted with new furnishings and updated décor to accompany a full complement of specialty whiskeys and draft beers. “We have also recently upgraded the menu available in our lounge, adding fresh items to go with traditional golf taproom fare and quick service items ideal for making the turn and grabbing a bite,” McGuire said. A second lounge is located on the lower level and offers full service as well. It offers a more laid back atmosphere with a pool table, Golden Tee, large screen TVs, and plenty of comfortable seating. The played format is a two-person best ball, with the pro’s results added in to complete the scoring. The cost of the tournament is $100 for members or $150 for non-members and includes the golf, cart, three meals, and drink tickets. Of course, if you want to play even more, there are still membership options available. 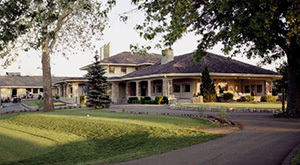 The definition of “all-inclusive”, these memberships include unlimited play with 14 day advance tee times, golf cart, range balls, member-only social and golf outings, discounts in the pro shop , and access to Prairie Highlands in Olathe. There is no initiation fee and monthly dues start as low as $150 per month for 40 year-old and younger members, or as high as $300/mo for a full family membership. Whatever your level of membership, there are few deals as good as this that boast such a quality course and abundant amenities.